ARE YOU HAVING HONESTY IN YOUR MARKETING? 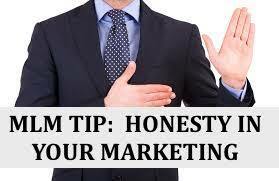 One of the biggest MLM tips I can give you is to have HONESTY IN YOUR MARKETING. Honesty in your marketing is extremely important and you will see the impact of that in your results. If I'm honest with you when I first started marketing online I really didn't understand the power of this and I was really just focusing on putting my business information in front of people. The problem with that is when that is your real focus, people see straight through you and you don't get the results you're looking for. When it comes to Online Marketing or using the Internet to build your Network Marketing business you really do have to be value focused. In other words, you identified a need and you add value in the area to fulfill that need. So if your focus is serving others than you will reflect that in your Marketing and what you'll find is that people will start gravitating towards you because people buy from and join people that they know, they like, and they trust. 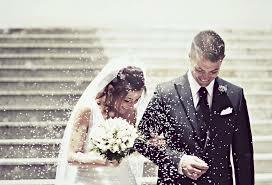 It's a bit like a marriage, two people decide they are going to commit their lives to each other when they first meet that level of commitment is not immediate. However over time because of the interaction and the relationship building that is established and they are then willing to commit to a lifelong partnership together. So if you want your prospect to commit to you in the long-term and Know, Like and Trust you, then build that relationship with them first with true HONESTY IN YOUR MARKETING. If you feel you don't have enough value to add, then you NEED to get over that because the knowledge in your head is valuable to somebody who doesn't know it! As well as that you can also align yourself with people and systems of training that would increase your value. So my advice for you today is simply this, IF you want to BE SUCCESSFUL in Network Marketing BE HONEST IN YOUR MARKETING it is the most powerful strategy to develop relationships. You NOW, TODAY have to opportunity to be DIFFERENT! If This post about honesty in your marketing has helped you then please feel free to share it on any social media platforms you use and anyone else that can benefit from reading it. Click HERE to gain access to it.